Get on the path to health at Martindale Chiropractic & Wellness Centre! Once I go to a chiropractor, will I have to go for the rest of my life? Well, it depends on your health goals. Once you start going to the gym or brushing your teeth, do you stop? If your goal is crisis care, we’re happy to help. 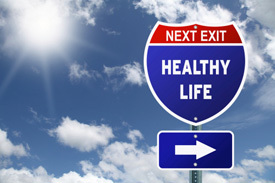 If your goal is wellness, it will require regular visits for as long as you want to maintain. Can chiropractic care cure everything? No, but we have found that chiropractic care helps with a lot of conditions. Chiropractic helps your body to work the best it possibly can. Will it cure you? Not necessarily. Will it make you feel better? Absolutely! We do treat people who have cancer, tumors and more. We treat them to make sure their bodies are functioning optimally. Why would I have my newborn or new child adjusted? Basically, we refer to the trauma of the birthing process. Babies can’t articulate to parents that they have a problem with their neck or spine. Usually, they would cry. We can check your child’s spine and nervous system. Parents may be surprised to know that chiropractic care has been known to help in the treatment of colic and ear infections. We treat our own kids! Do you accept any insurance coverage? Yes, we do, depending on the type of insurance coverage you have. We accept insurance for motor vehicle accidents as well as WSIB insurance. Usually our patients pay up front and insurance reimburses when you file your claim. Yes, we have good rapport with the community. Not only have we received referrals from medical doctors, but some of them are also our patients! Will you suggest exercises and stretches for me to do at home? Absolutely, we’ll tell you, show you and give you brochures about the best exercises you can do at home. We try to empower you as much as possible when you’re not here. Can someone with a back surgery see a chiropractor? Yes. We can use the Graston technique to help with scar tissues. We’ve worked around fusions, rods, and other surgical conditions in the past. Of course we taper the treatment according to what the surgery was. X-rays show us exactly what we will be able to do and what we won’t.